Solaris Technologies Services ToughTower™ is an exclusive, innovative solution for customers needing a portable cell tower with superior strength & reliability. 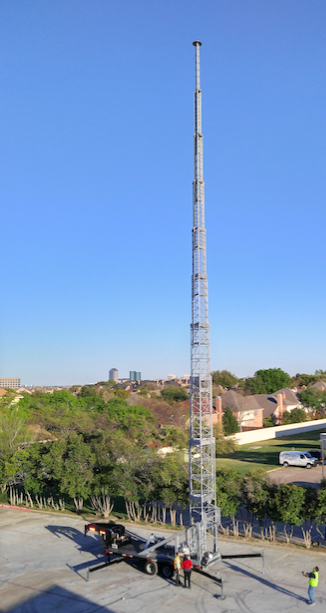 Our mobile tower leasing / rental program is perfect when you need a cellular tower for a flexible time period, or just want to reduce your up-front costs. Prices as low as $3,500 per month! Ask about our rent-to-buy options and discounts for rentals 3 months and longer.